St. Joseph’s Healthcare Foundation is committed to protecting the privacy of the personal information of its donors, volunteers, employees, and other stakeholders. We value the trust of our supporters and of the public, and recognize that maintaining this trust requires that we be transparent and accountable in how we treat the information that is shared with us. The Foundation’s Chief Privacy Officer (CPO) is the Director, Database, Donor Services & Annual Giving.  The CPO works closely with the Chief Privacy Officer of St. Joseph’s Healthcare Hamilton, and in accordance with the principles and policies of the Imagine Canada Standards, and PIPEDA, PHIPA and FIPPA legislation to promote and protect the privacy of all benefactors of St. Joseph’s Healthcare Foundation. Further, personal information sent between the Foundation and third party vendors will be transferred using secured password-protected file transfer protocols. Before personal information is collected, the Foundation must identify the purpose for which it is being collected. (Appendix B) Safeguards are in place to ensure that the information is not disclosed or shared more widely than is necessary to achieve the purpose for which it was gathered unless otherwise required by law. Should a new purpose be established, individuals must be notified of the change. In the collection, use or disclosure of personal information, knowledge and consent of the individual is required. This consent must be meaningful and easily understood. The Foundation will consider a donation or event registration as implied consent to inform the donor of the impact of their gifts and include them in future communications to support St. Joseph’s Healthcare Foundation, unless otherwise indicated by the donor. The Foundation offers individuals the opportunity not to receive any or all communications from us. Such requests will be respected and acted on promptly. Opt-out clauses will be included in all direct mail pieces, e-newsletters, and e-solicitations. Opt-out contact information is prominently located on the Foundation website. To opt-out at any time, donors are invited to call our Foundation at 905-521-6036. The Foundation receives limited information on patients who have been discharged. Safeguards have been put in place to protect patient privacy and to eliminate inappropriate mailings. The Foundation does not have direct access to patient information; the hospital prepares all data selections. All data received from the Hospital contains only the information necessary for our fundraising practices and adheres to PIPEDA and FIPPA legislation. Only when an individual responds to a mailing does the Foundation enter their name & address into the secure donor database. All patient mailings include an opt-out clause and the Foundation maintains a list of individuals who have opted-out. With respect to the publication of donor lists by gift category, donor requests for anonymity will be honoured. Personal information collected is limited to that which is necessary to fulfill the purposes identified. Information will be collected only by lawful means without misleading or deceiving individuals as to the reason. The source of the data will be indicated on each file. The Foundation collects, uses and discloses personal information only for the Foundation’s fundraising programs and initiatives, and to support ongoing administration of our authorized fundraising activities. When information is no longer needed it will be securely destroyed. The Foundation only uses the information it collects for Foundation programs that support St. Joseph’s Healthcare Hamilton. The Foundation will take reasonable steps to ensure that personal information is as accurate, complete, and up to date as possible. The Foundation will ensure that steps are taken to protect personal information from theft and loss, as well as unauthorized access, disclosure, copying or use. The Foundation has established policies and procedures, as well as technical security to protect personal information. Hard copies of records are kept in locked cabinets and are accessible by Foundation staff only on a need to know basis. All electronic information is stored on secure servers and only Foundation staff with confidential passwords may access electronic records. Information obtained from donors or visitors to our website is protected by special electronic security measures. The Foundation only captures information from our website if a visitor chooses to make a donation, fill out a form or contact us. Our Foundation publishes our personal information protection policies and practices and clearly indicates who serves as the Foundation’s Chief Privacy Officer. This information is posted on our website and available in print form. Upon request, individuals will be informed of the existence, use and disclosure of their own personal information and be given access to that information, as permitted or required by law. An individual has the right to challenge the accuracy and completeness of the information and have it amended if appropriate. All requests for access will be responded within a reasonable time (not more than 30 days) and at minimal or no cost to the individual. An individual can challenge the Foundation’s compliance with this policy. If so, the Foundation will follow the procedures outlined in its Complaints Policy. Policies and procedures will be amended if a complaint has validity. The Foundation website (stjoesfoundation.ca) uses “cookie” messages to enhance our online visitors’ experience. Cookies are used by websites to track usage and user preferences. The “cookie” is stored in the user’s browser and is read by the hosting server when the user returns to the website. Cookies assist with aggregate analysis of the website and its content. Cookies can be rejected or cancelled by changing web browser settings accordingly. This policy will be regularly reviewed and updated as required. Revisions will be posted on the Foundation’s website. Further information on privacy and personal information may be found on the website of the Privacy Commissioner of Canada at www.privcom.gc.ca.